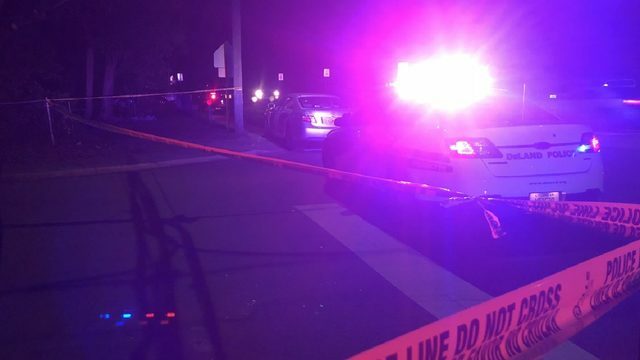 TITUSVILLE, Fla. - A 24-year-old woman was shot dead late Tuesday in Titusville, according to police. Brandee Elizabeth Kelley, of Mims, was shot just after 11 p.m. at 1075 Tree Lane at the Emerald Place Apartments in Titusville police said. She was taken to Parrish Medical Center and later died, authorities said. According to police, an initial investigation shows that the shooter appears to be an acquaintance of Kelley, police said. No information about the man is being released, however. Witnesses told Local 6 that a man walked up to a sliding-glass door, yelled at the victim and shot her. Dawson Paine, a 15-year-old friend, found Kelley suffering from a gunshot wound. "I was in my room at the time, but I came out there and checked her pulse and stuff, and that's when I (saw) that she had the wound to the heart, and I had to tell the operator," said Paine, adding that Kelley was pregnant, although police have not confirmed that. Anyone with information about the shooting is urged to call Crimeline at 800-423-TIPS.